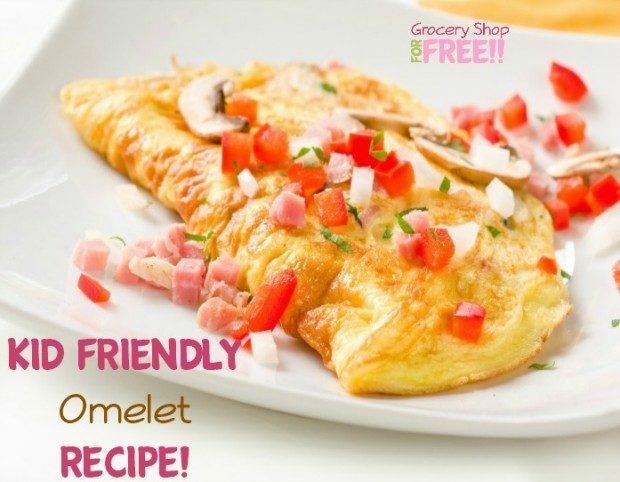 You are here: Home / Recipes / Breakfast / Kid Friendly Omelet Recipe! With the kids out of school for summer vacation, they will raid the fridge and leave you hungry. We all need kid friendly meals that will allow the kids to get more active in the kitchen. Let’s face it, you can’t cook for them forever! Today I am showing you guys step by step how to make these awesome kid friendly omelets with only a few ingredients. Get your ingredients ready. I do not put cheese in my omelet because I cannot taste it. I always put my cheese on top. Mix the eggs and ingredients together. Pour the ingredients into a plastic sandwich bag. The wider the bag, the longer the omelet will be. I used a plain sandwich bag but you could always use a Ziploc Zip n Steam bag. Put the bag into a BOILING pot of water. Make sure the bag is closed tightly so your omelet does not leak out. Let the omelet boil on medium heat for 10-13 minutes depending on the size of the omelet. I cooked my omelet for 13 minutes. Now top your delicious omelet with whatever toppings you prefer. I topped mine with pepper jack and tomatoes.